What child wouldn't love a party with a theme revolving around candy! Children young & old have been thrilled by the adventures of Charlie and his golden ticket. 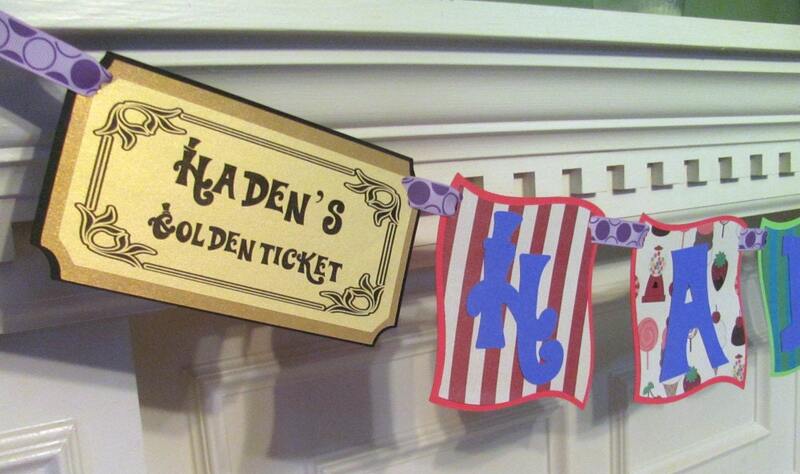 Your child will receive with his/her banner their very own golden ticket! 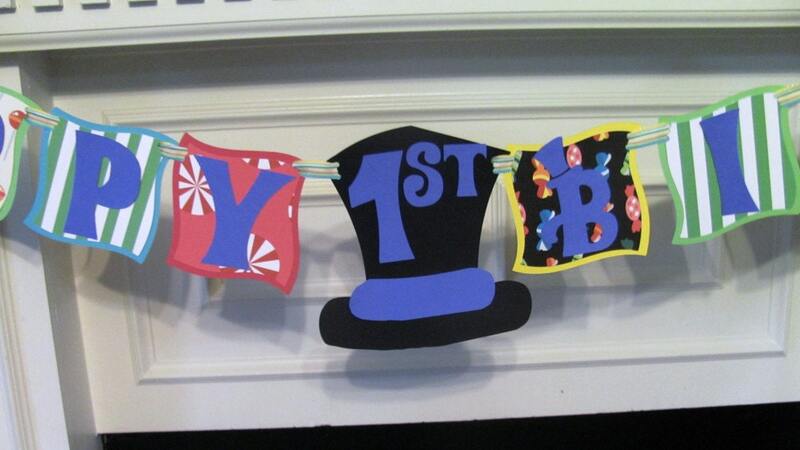 This listing is for 1 Happy Birthday banner complete with Willy Wonka's hat and a 2nd banner featuring your child's name along with the golden ticket. 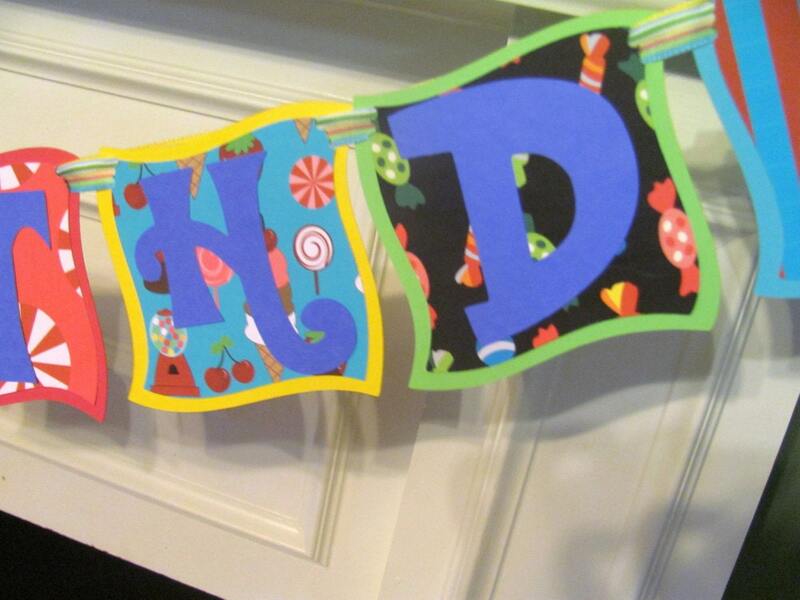 Banner panels have been done in bright,cheery colors and are adorned with designer papers featuring, what else, candy!! 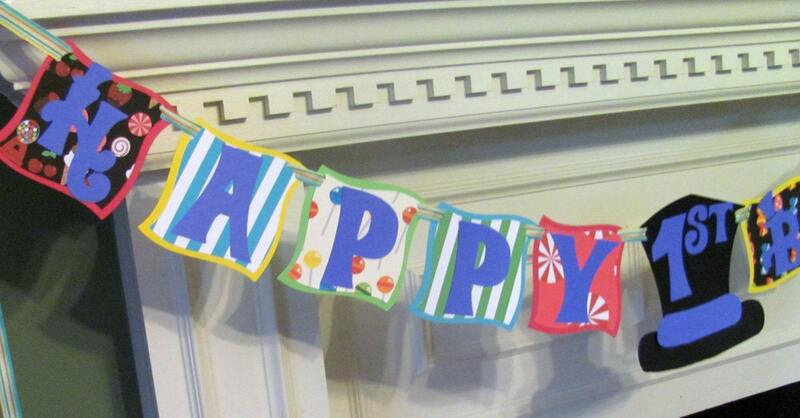 Each panel measures approximately 5" square and the happy birthday banner is approximately 6ft in length. The lettering for your banner has been done in the Willy Wonka font. Don't discard that name banner after the party is over! The name banners make great wall art for a child's bedroom. When ordering please provide your child's name, age and the date of your party. Please allow a minimum of 10-12 days for order processing. Quick shipment on this personalized item. 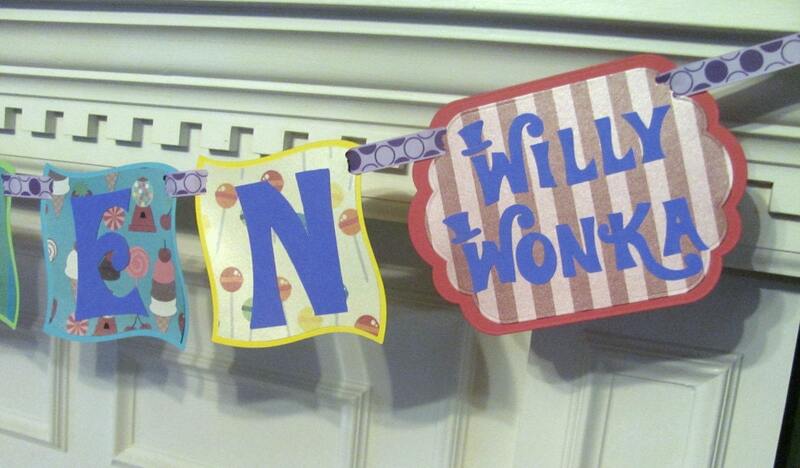 Love it for our Wonka themed party coming up. Nice quality of craftsmanship and I love the candy-themed paper used :-) Thank you! This was a big hit at my niece's second birthday party! Everyone loved these banners! Well done! came out perfect . . cant wait to use it! !